Sometimes there is a need for different branding but a consistancy. 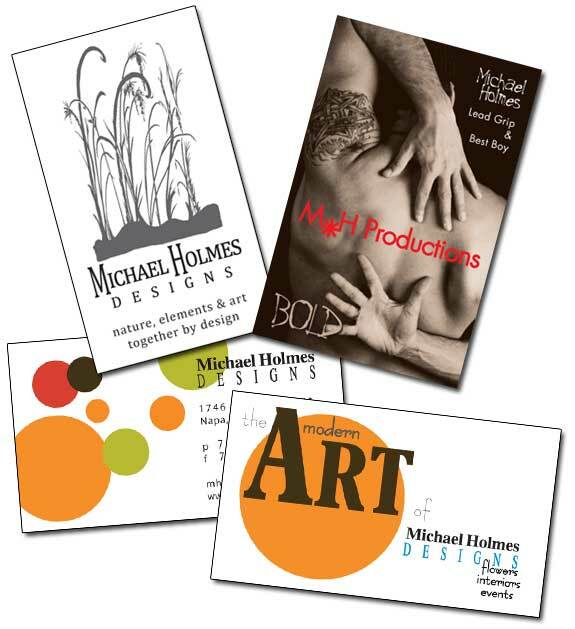 Michael Holmes is a local designer who has his hands here and there and needed different business cards for each of those businesses or titles. Also he tailored some according to the business for situations in which he was building a business to be sold. Below are just a few of the large number I've done while working with him over the years.